Karting is often seen as a starting sport for children to get their first adrenaline rush of Autosport. Cadet karting, for example, is usually the best way to get a little one involved in the sport. However, there are so many different classes of karting depending on the region, age, size. The full details can be found here. There are a lot of different ways to get involved with karting, but ensuring you do your homework is a must. Understanding the local karting culture in your local area is important. What are the clubs racing with? What karts do they use? Are parts of the kart you may have been looking at illegal in their championships? What is popular, and which classes would you be best suited to in terms of your ability, height, weight? Buying a kart without knowing this crucial information could result in a big spend for no good reason as there could be a chance you won’t be able to use it at your local club. That’s why the best (and first) starting point should be to research local clubs. So, you’re armed with information from your local karting club, maybe you’ve signed yourself up to the next race to give it a go, next you’ll need to purchase a kart. 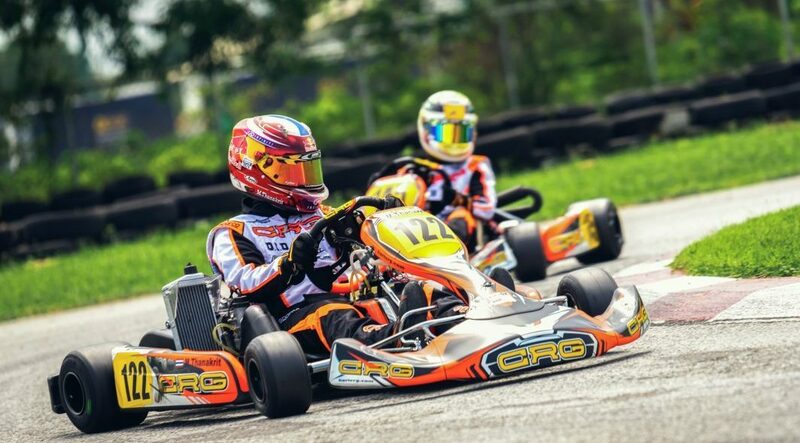 Once you’ve gained some advice from your local karting club, you’ll be able to do some extensive research to find the most appropriate kart for you. As with anything you’ll want to see exactly what you’re spending your money on, especially if buying second-hand so take a look at the chassis for wear and tear, cracks and damage. 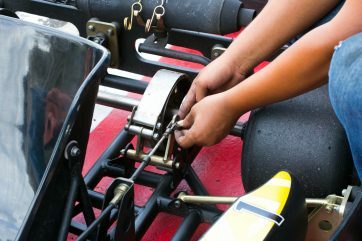 You should generally avoid any kart with extreme wear, but karts with scuffs, scratches requiring minor repairs or TLC are perfectly fine! Next, the karting starter pack available from Motorsport UK (for £66) will give you all the information you need to get started, and included within this is the cost of your first licence (at £38). Then, once you’ve sorted your licence and have a kart ready to jump straight into, it’s time to take your test… you could be on the track within days. How exciting!! It costs £98 to do, and you can book it through the Association of Racing Kart School (ARKS).